Private detective Charlie Parker is hired by a lawyer to shadow the police investigation and find the infant but Parker is not the only searcher. Someone else is following the trail left by the woman, someone with an interest in much more than a missing child . . . someone prepared to leave bodies in his wake. 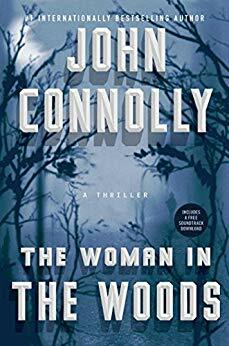 John Connolly (J.C.): The book that gave me the most unexpected pleasure was Ryan O’Neill’s “Their Brilliant Careers: The Fantastic Lives of Sixteen Extraordinary Australian Writers.” The twist is that none of the writers in question—including an excessively prolific mystery novelist—will be familiar even to the most learned of readers, because all are fictitious, although they contain echoes of actual people and literary movements. I loved it. MAG. : Do you have a memorable fan experience you can share? J.C.: At my first Bouchercon in Denver, a woman spent a considerable amount of time telling me how much my books meant to her, and how talented I was, before handing me a copy of Ian Rankin’s “Black & Blue” and asking me to sign it. MAG. : Who’s your favorite fictional villain? J.C.: I have a fondness for Roderick Spode, leader of a fictitious group of fascists called the Black Shorts in the Jeeves & Wooster stories of P.G. Wodehouse. Fascists hate being laughed at. It’s worth remembering, in the current political climate. or something—is stalking them. Whether it’s a curse from the beautiful Tamsen Donner (who some think might be a witch), their ill-advised choice of route through uncharted terrain, or just plain bad luck, the ninety men, women, and children of the Donner Party are heading into one of one of the deadliest and most disastrous Western adventures in American history. As members of the group begin to disappear, the survivors start to wonder if there really is something disturbing, and hungry, waiting for them in the mountains . . . and whether the evil that has unfolded around them may have in fact been growing within them all along. Alma Katsu (A.K. 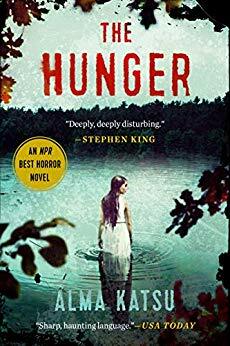 ): The original pitch for “The Hunger” is perfect and still my favorite, I think: The Donner Party meets the Walking Dead. A.K. : Since authors are hardly household names—unless your name happens to be Stephen King or Tom Clancy—I’m always amazed that anyone would know who I am. My two worlds collided a few years back when I was in a class for work. My (former) day job is about as far as you can possibly go from writing horror novels: I used to be an intelligence analyst for one of those three-letter agencies. The instructor had us go around the room and make brief introductions, and after I’d said my name, one guy in the class jumped up and said “I know who you are—you’re my wife’s favorite author!” Which was so unexpected, I thought for a minute that I’d hallucinated it. A.K. : So many that it’s hard to narrow down to just one. Today, I’d say “Interview with the Vampire” by Anne Rice. 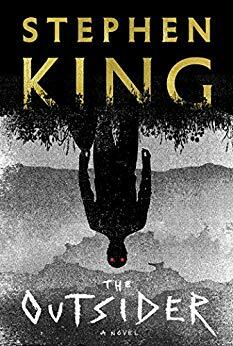 I just think the novel revolutionized what a horror story could be. Not many books can have as broad an impact on popular culture. Be the first to comment on "Best of 2018 “Horror” Category"